Blackheads on the face, specifically on the nose and other areas, can be a problem for teens but for adults too. Blackheads are usually black, but they can also be yellow (this was news to me, by the way!). Blackheads result when when a hair follicle becomes clogged. What Is A Blackhead Treatment? What Are the Most Effective Home Remedies? So it turns out that a combination of dead skin cells and dirt can cause these pesky blemishes at any time. Of course, you and I know that a little blemish is never gonna stop us – so we’re going to tap into the power of the at-home treatment for this skin issue. We’re going to explore blackhead home remedies that actually work. There are two types of home solutions we’re going to cover today: topical treatments and at-home tools. As we’ve previously touched on, the contributing factors to getting blackheads are hormonal changes. But you can also increase your chances with improper skin care, genetics, stress, and the over use of cosmetics. Blackheads can usually be found on the face, however, they do appear on the back, arms, neck, chest, and shoulders. Interestingly, they appear black, not because of dirt, but because of oxidization with exposure to the air.The important thing to remember is if left untreated, they can cause acne outbreaks. There are several over the counter products for blackhead treatment, but using a home remedy can also be an effective option. With simple ingredients in your kitchen, you can clear them up in just a few days. There are several home remedies to help with blackheads using natural ingredients you may already have in your kitchen cabinets or can be found at your local grocery store. 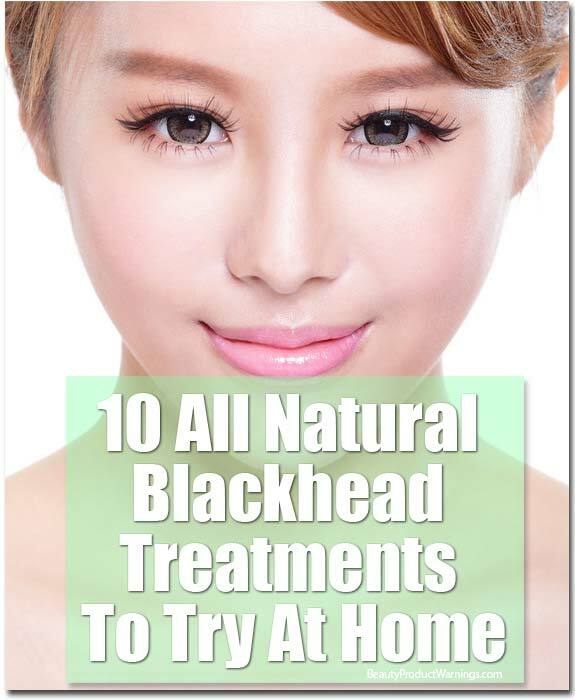 Here are 10 easy-to-make all natural remedies that many have reported using to help control blackheads and reveal clear, healthy skin. As with anything you put on your skin, make sure you aren’t allergic or sensitive to the ingredients and stop using immediately if you have an adverse reaction. If you are unsure of any of the ingredients below, you may want to consult a medical advisor. These may have to be used regularly to keep the skin clear and blackhead free. • Combine about 2 tsp baking soda with mineral oil creating a paste. • Gently massage the paste onto the face and allow it to dry a few minutes. • Rinse the paste off your face with warm water. • Apply this remedy up to two times a week. • Apply a bit pure honey on your face, leaving it on for about 10 minutes. 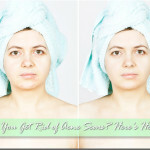 • Rinse your face with warm water. • Make a paste by mixing 1 tsp of honey to 1 tsp of cinnamon powder. • Place on the affected area and leave overnight, washing it off in the morning. • Continue this treatment for 10 days in a row for best results. • Combine 1 tsp cinnamon and 1-2 tsp lemon juice, with a pinch of turmeric powder. • Cleanse the affected area with the mixture, rinsing it off with warm water. • Use daily to remove blackheads. • Mix 1 tsp of honey and 2 Tbsp of tomato juice with 2-4 tbsp of oatmeal into a paste. • Gently scrub your face with the mixture, giving more attention where you have blackheads. • Mix 2 tbsp oatmeal, 3 tbsp yogurt and a few drops of lemon juice and olive oil. • Apply this mixture to your face and leave it for about 10-15 minutes. • Combine 1 tsp (or more, depending on how much of the mixture you need) of each; lemon juice, salt, yogurt and honey into a scrub. • Use the scrub to exfoliate your skin, treating the blackheads in the process. • Mix 1 tps of dry green tea leaves with a bit water, creating a paste. • Gently scrub the paste over the affected area for a few minutes. • This scrub provides a deep clean for oily skin, helping unclog pores. • Combine 1 tsp of Epsom salt and a few drops of iodine in a small amount of hot water until the salt completely dissolves. • After the mixture has cooled, use a cotton ball to apply to the mixture on the affected area. • Once the mixture has dried, gently wash it off. • Create a thick paste by crushing fresh fenugreek leaves in a small amount of water. • Apply it to the affected area and allow it to dry for about 10 minutes. • Use this remedy daily. If you’re brave, I have another solution for you. This one looks a little creepy, but I’m telling you, it works to extract those plugged up pores. Introducing… the blackhead remover! 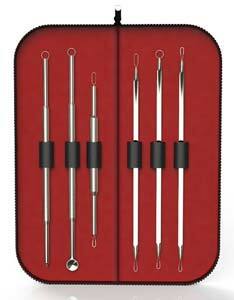 A blackhead removal tool can be purchased in many places like your pharmacy or large discount stores. The shape of the blackhead remover is round with a small hole at the end of a handle, and when pressed against the blackhead area the pressure is administered around the area and the blackhead then easily extracts from the site. Using a blackhead remover is better than squeezing the area with your fingers. Sometime bruising can occur or damage and breaking of blood vessels under the thin skin of the face can happen along with causing a possible infection. This is also a more sanitary way to remove the blackheads, remember to clean the tool with rubbing alcohol before and after each use. OK, my beauties, now it’s your turn to share your favorite blackhead treatments in the comments below. What am I missing? What’s worked for you guys? I had a fairly large blackhead that I couldn’t even see but, my BFF noticed it. I took a nice hot bath one night not even thinking about the blackhead and after toweling off, I noticed that it was half way out! With a bit more encouragement, it came out!